Some things just make sense. The Vancouver Fruit Tree Project Society is one of them. 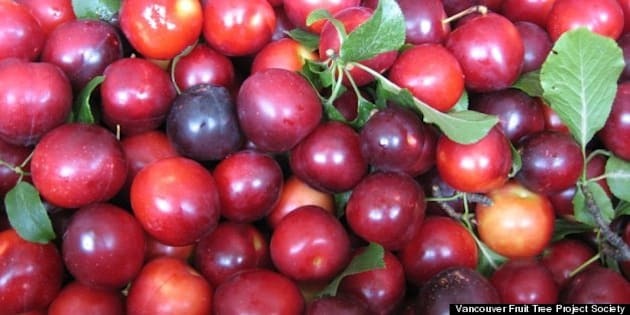 Gardens all around the city are bursting with fruit either ready to pick or busy ripening: apples, plums, cherries, figs – a phenomenal backyard bounty. But just because you have a beautiful tree laden with delicious fruit doesn’t mean you have the capacity to strip it bare and eat the entire harvest. That’s where the Fruit Tree Project comes in. In its 14th year, this almost entirely volunteer-run program strives to pair fresh fruit with the people who need it, picking your produce and providing it to community groups. You can donate all of the harvest, or have some kept back for your own use, knowing that your donation will not go to waste. The fruit goes to senior centres, daycares, women’s shelters, assisted living programs – the marginalized communities in our society, Gardiner says. But, for the first time since its inception, the society has been turned down for the $13,000 annual grant it needs to operate. In the past the money – which goes mostly to pay for one staff co-ordinator during the picking season – has been raised largely through substantial awards from B.C. Gaming or VanCity. This year, both organizations turned them down. Despite hitting so many identified local priorities – food security, community building, green jobs – the project has been a victim of changing eligibility rules. Fierce fundraising has garnered around $8000 – enough to get things up and running and a co-ordinator hired but, as Gardner notes, the effort takes up time and energy, precious commodities in a grass roots organization. “We know how appreciated the fruit is,” she says. “We can show up with boxes and boxes of apples and know they will all be used in some way, be it apple chips, or apple sauce for kids. The board is really stepping up to make it work, and the weather means the season is running a few weeks earlier this year. Taylor Macdougall is the community programmer for Steeves Manor Resource Centre, a low income housing facility in Kitsilano. He first heard about the project last year and quickly signed up to receive fruit. Steeves Manor houses 300 low-income adults and hosts many food programs, including a community kitchen. Every piece of fruit that arrived last season was put to use, Macdougall says, either eaten whole, baked into pies and muffins or canned for later.